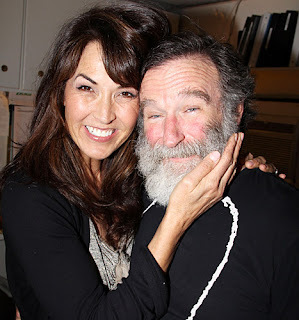 Congratulations are in order for the 60-year-old Oscar winner, as he married Susan Schneider over the weekend. The couple exchanged vows at the Meadowood Resort in St. Helena, California. Schneider is a graphic designer and heads the firm Critical Eye Design. This is the third marriage for Williams, his second marriage ending last year. He has three children: Zachary, 28; Zelda, 22; and Cody 19. Yesterday afternoon, I went the movie theater to see "Courageous." I knew absolutely nothing about the film, other than I had heard from someone that it was a great movie. I had no idea what I was about to experience. This is the most powerful, impactful, and emotional movie I've ever seen. This movie is absolutely guaranteed to move you to the core. A movie that will actually touch your soul. The only thing you can do, is go see this for yourself. 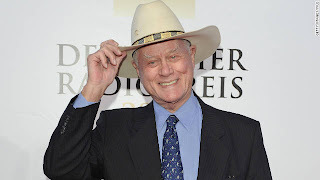 (CNN) -- Actor Larry Hagman said Friday that he has been diagnosed with cancer, but noted "it is a very common and treatable form" of the disease. "As J.R I could get away with anything -- bribery, blackmail and adultery," Hagman said. "But I got caught by cancer." In 1995, Hagman received a liver transplant that ultimately saved his life, as he was battling cirrhosis. Thoughts and prayer for a successful treatment and speedy recovery! Fox has announced the latest in the "Die Hard" movie series...Die Hard 5 - A Good Day to Die Hard is set for release Valentine's Day 2013. 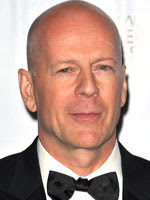 This will star Bruce Willis as Detective John McClane, once again, but this time...he'll be in Russia. Congratulations to The Band Perry on the TREMENDOUS success of their #1 song "If I Die Young," and receiving Triple Platinum certification for sales in excess of 3 million! The #1 song was the second single from their self titled album, released just one year ago. "Although we've planned, prepared and prayed for this moment for the past 13 years, we're still a little overwhelmed by the warm welcome we've been given," said Kimberly, Neil and Reid Perry. "Birthdays have always been celebrated big in this family, so to have a one-year-old album AND hear that 'If I Die Young' has touched so many people; it makes us feel that we're sharing our celebration with all of you." Rascal Flatts became the newest members of the Grand Ole Opry, in Nashville, Saturday night. Watch as Opry GM Pete Fisher and Opry Legend Little Jimmy Dickens induct Joe Don, Gary, and Jay into the First Church of Country Music. 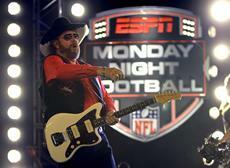 Hank Williams, Jr. may be ready for some football, but he's not doing with ESPN anymore. ESPN says in a statement: "While Hank Williams Jr. is not an ESPN employee, we recognize he is closely linked to our company through the opening to Monday Night Football. We are extremely disappointed with his comments, and as a result have decided to pull the open from tonight's telecast." According to USA Today: Williams, perhaps best known for his "are you ready for some football?" lead-in to ESPN's Monday Night Football, Monday compared this summer's so-called golf summit between Obama and House Speaker John Boehner as "one of the biggest political mistakes ever." Needless to say, ESPN frowns on such things. Hank has said he's interested in running for office, and has considered seeking a US Senate seat in Tennessee in 2012.